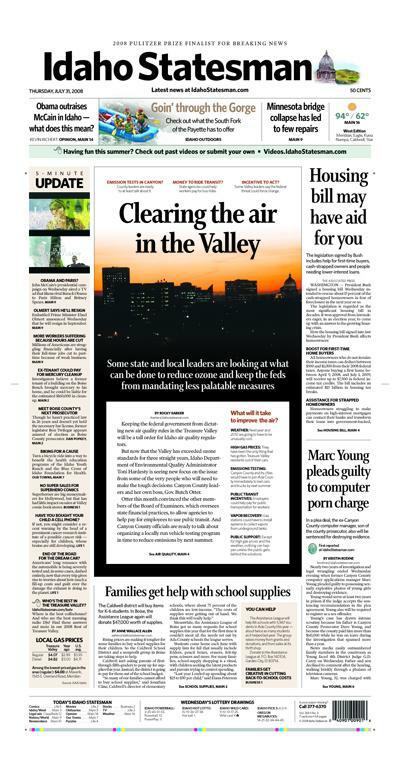 Right out of college I was the front page designer at the Idaho Statesman where I was honored to working with a very talented crew of reporters, photographers, editors and designers. The forward thinking, alternative storytelling and maestro news team meetings taught me so much about teamwork, collaborative design, info graphics and the future of news design. 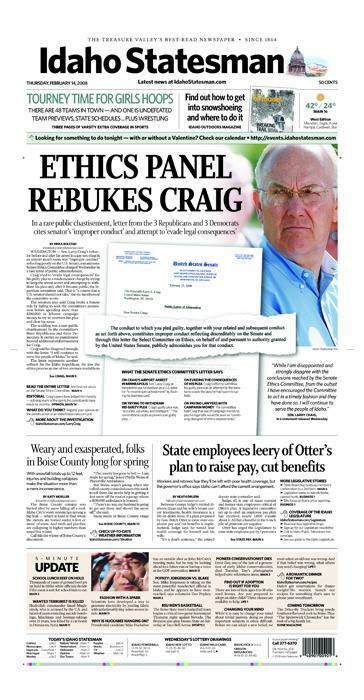 I was lucky to be there during a very exciting time when the news team was a Pulitzer Prize finalist for it’s coverage of Sen. Larry Craig, R-Idaho. My cover designs from this time won first place in news design from the Idaho Press Club.